The Independent ranks London as the eleventh most unsafe city in the world according to crime statistics in 2018. London has so many wonderful opportunities to offer, but if you are not careful, you might end up experiencing the opposite. 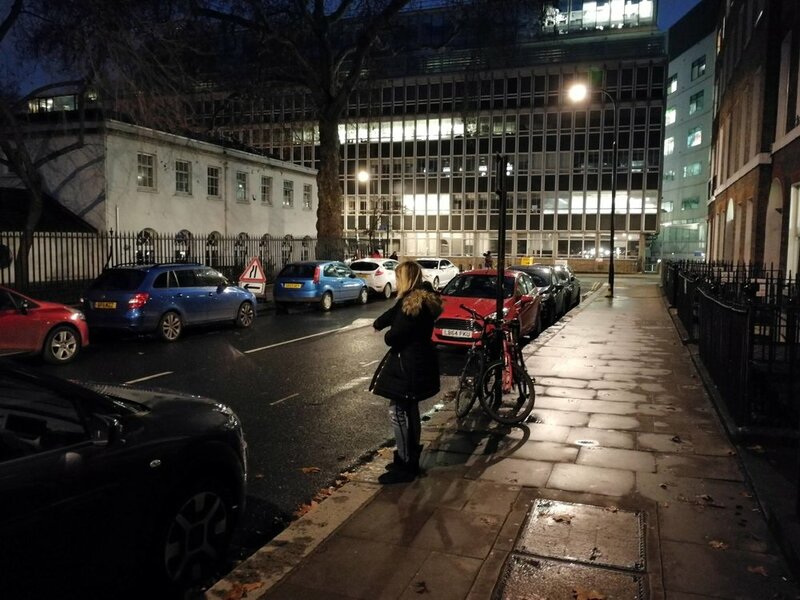 As IH always looks after its residents and wants to provide the safest environment for all, we interviewed a victim of phone theft, one of the most common crimes in London, who experienced the accident right in front of our hall. We hope you take this opportunity to learn from her experience and also find some useful advice to prevent it from happening to you. Could you tell us about your experience – what, how, and where the incident happened? It was Sunday night, at 9 o’clock, and I was standing in the corner right outside the International Hall. I was checking my phone when suddenly a man on a bicycle came behind me and grabbed my phone (half of his face was covered). The street was almost empty from cars and people. What was your immediate response right after the attack happened? He grabbed my phone, and he started cycling quickly in order to disappear. I was in panic, and I didn’t know what to do, so I started screaming and chasing him. Of course, it wasn’t possible to catch him all by myself because he was on a bicycle, but that was my reaction by instinct. I was lucky though. My phone’s plastic screen cover was broken and that made my phone look broken and old. So after a couple of meters, he dropped my phone on the street and disappeared. Did you call for help? If so, who? Did you find help easily? Did they respond promptly? The street was empty, so when I started screaming no one came for help. There was a girl cycling at that moment, and she asked me if I am ok. But neither me nor her could see him because his face was covered. Having experienced such an incident, what would you advise people to do right away? I would advise everyone to ask for help immediately but stay calm at the same time, although it is difficult at that moment. Do you think you could have prevented the incident from happening? If so, how? Of course, I could have prevented the incident by using earphones and having the phone inside my pocket. The area is a little dangerous as for phone stealers. I noticed also that in Russell Square tube station there is a similar announcement, that advices people to keep their phones safe. The spot where the phone was dropped because it appeared as if it had a crack on the screen. How do you feel after your experience? Has your perception on the situation of safety in London changed after the incident? When I first came to International Hall, I have been informed about these kinds of incidents. But I wasn’t very careful, until that happened to me. From that time on, I always try to keep my phone safe and invisible and to use earphones. Do you have any advice for IH residents on how to stay safer on the streets of London? I would advise everyone to mind their personal belongings in every way. It is better to keep your phone safe while you are walking, rather than walking and texting or scrolling through Facebook. Also, you need to take extra care of electronic devices such as laptops. When something looks expensive, it is more likely to be stolen. And my last advice is to never count money in public or hold a bank card in your hands. They can be easily stolen. As for me, I was lucky enough because the thief thought that my phone was broken, so he ‘returned’ it back. We need to learn from our mistakes. We have to be very careful and I hope that no one will experience a similar incident.